Today, Ms. Melinsky’s 2nd hour class came out to the Sullivan Memorial Learning Garden to harvest produce to be used in the DHS cafeteria throughout this week! 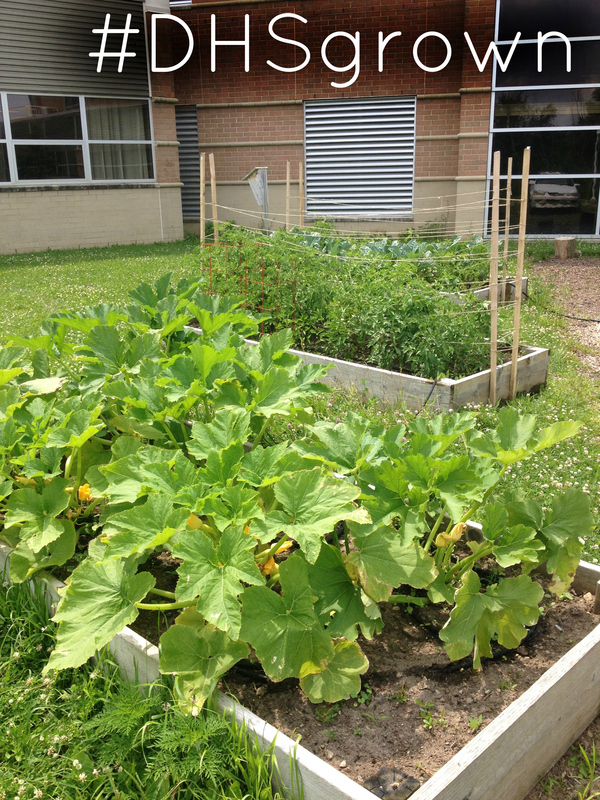 This project represents a pilot Garden to Cafeteria Program that will hopefully continue and grow as the garden itself grows. The kitchen staff were very impressed by the high quality of the parsley, swiss chard, arugula, lettuce, serrano peppers, and chives that DHS students planted, maintained, and harvested! The lettuce was served today on the salad bar, and the rest of the harvest will be featured throughout the remainder of this week. The garden harvest ready to take into the school kitchen. Here’s the beautiful fall harvest! Produce from school garden served in DHS school salad bar. Students ate up the fresh lettuce from the school garden! The DHS Kitchen staff were wonderful supporters of this project! They made sure to put up signage and talked to students and teachers about the special school-grown produce on the lunch line. 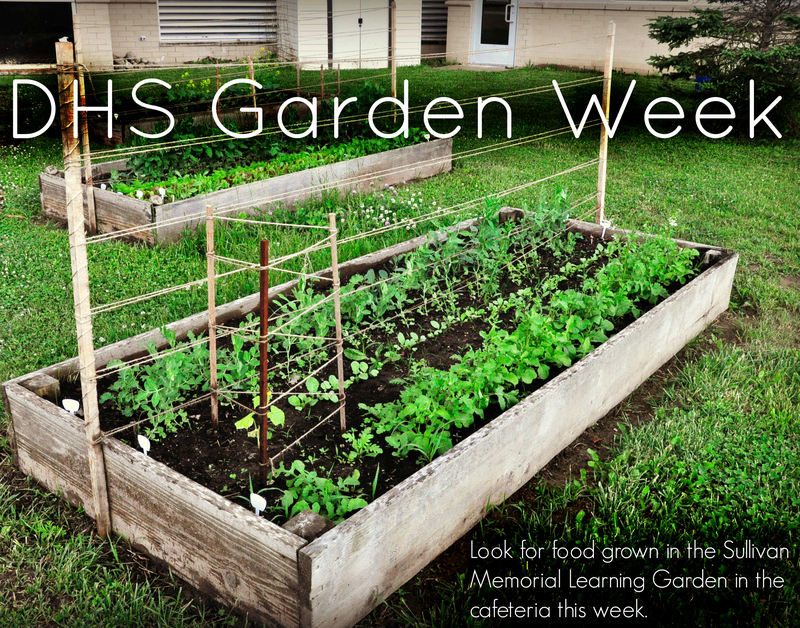 We hope that this event will help spread the word about the Sullivan Memorial Learning Garden at DHS, and generate more student interest in the garden. Thank you to Dexter Food and Nutrition and to Ms. Melinsky’s 2nd Hour for making this all possible!